When I started this blog, several weeks ago, I promised that I’d try to feed it regularly and care for it properly. So far, I’ve written three whole posts, and they’ve all been about me. My life, my rescue animals, my garden, my philosophy. Well, that’s what I thought it was supposed to be about, but I’ve already had enough of me to last a while. I mean – I pretty much love being me. I love taking care of critters and planting stuff and writing stories. I love my family and living on a farm and milking goats and all that. But I’m ready to talk about somebody else. I have a long list of people I’d love to talk about for one reason or another, and the first is Kathy Patrick, over in Jefferson, Texas. For those of you who don’t know, Kathy is the creator of the biggest “reading and discussing” book club in the world. The woman is a dynamo, and when she gets an idea – look out. Things start to happen. 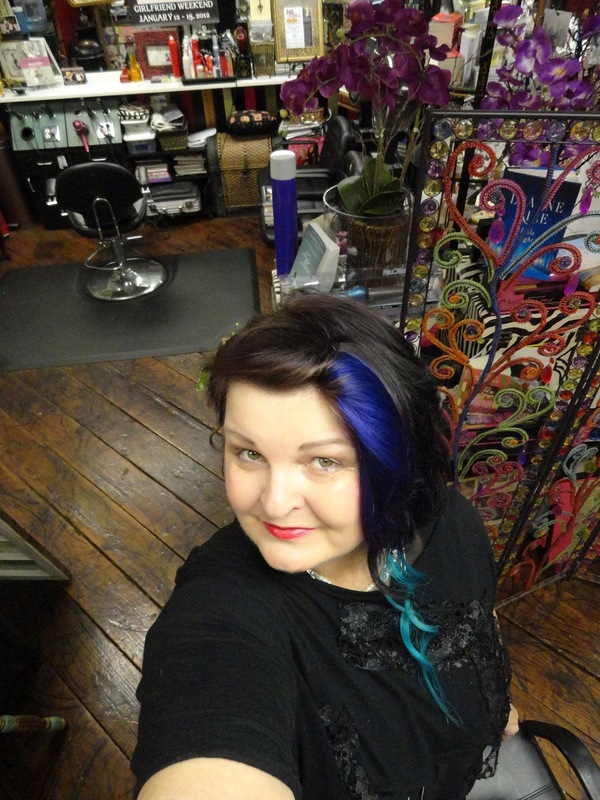 Back in 2000, Kathy was in between jobs, tossing about for something to do, and she came up with the notion of incorporating her two passions: doing hair and reading books. 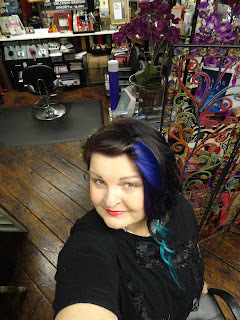 The result was Beauty and the Book (the only hair salon/book store anywhere) and the Pulpwood Queens Book Club. The shop is a marvel – full to bursting with books and movie posters and baubles and oh-my-God Wonderful Stuff. There’s an autographed door that authors, famous and unknown, have signed. And you might brush against some lovely hanging gown or masquerade costume. Feathers for your hair? She’s got ‘em. As small as the place is, you’ll never see it all, even if you go back every week, because Kathy keeps rearranging the mix, and more keeps coming in. It’s a tiny treasure hunter’s paradise – so much so that you don’t even see the beauty salon paraphernalia until Kathy points you to a chair and informs you that “We’ve got to do something with your hair”. As for the book club? It started out with just a handful of members, and now there are well over 500 chapters – all over the United States and in fifteen foreign countries. There’s even a chapter in a women’s prison in Alaska! Every January, hundreds of women (and a few men, mostly spouses) congregate in Jefferson for what’s known as Girlfriend Weekend. A two day extravaganza where readers and authors come together to talk books and play dress-up and party. It’s one of those “You can sleep when you get home” kind of things, and by the time the ladies pack up to leave, they’re already talking about what they’re going to wear next year. But while you’re there – oh, while you’re there – book nuts are getting to visit with their favorite authors (Pat Conroy, anyone? How about Fannie Flagg? The list goes on.) And new authors are making friends with prospective fans. In the meantime, there’s a book room set up where attendees can buy books and have them signed on the spot – and, everywhere you look – there’s food. Glorious food. Then there’s Kathy. Running the show. Welcoming the world the same way she welcomes a friend (or stranger) into her shop. With a dazzling smile and open arms. So, yeah – let’s talk about Kathy Patrick. Warm. Beautiful. Outlandish. Magical. And the best friend readers and writers ever had. Listen, I’ve got a confession to make. If you’re going to be reading this blog, it’s important for me to let you in on this, up front. I’d rather you’d hear it from me than from somebody else. I – am not -- perfect. Now, my family and friends have known this for years, and I have it on very good authority that it’s something they talk about among themselves. Once in a while, they also counsel me about it – usually in the gentlest of tones, prefaced by a brief mention of the fact that they love me anyway . Their constructive comments are many and varied, but there is one recurring theme: the fact that I’m a Sucker For Animals. I’ve got that on my profile (not capitalized, of course) as a kind of light-hearted description of myself, but let me tell you: there is nothing light-hearted about being a Sucker of any sort. It’s serious business, and it can make a mess of best-laid plans. My best-laid plans have included such things as getting organized, organizing my life better, and becoming a more organized person – none of which can be readily accomplished while remaining a Sucker – especially for animals! See, Suckers just can’t say no. Well, they can say it, but they can’t make it stick. They can be on their way to a fancy dinner party, dressed in all manner of finery (not that I’m much on finery), and they can see a starving dog (or cat or whatever) beside the road, and they will forget that they only have fifteen minutes to make a twenty-five minute drive (which wouldn’t be the case, if only they were, you know – organized), and they’ll stop the car and leap out into the mud (there’s usually mud, it’s like a Universal Law), and they’ll spend the next hour trying to coax the Hapless Creature into trusting them and coming along peaceably. It goes without saying that they generally turn out having to pick the H. C. up in their arms (there goes the finery) and carry it to the car (there goes the upholstery) and drive it home or to an emergency veterinary clinic (there goes the budget and the dinner party). Then said Sucker will call the hosts (who aren’t in any real mood for explanations; after all, they have dinner guests who actually bothered to show up), and he/she (the Sucker) will apologize profusely. Usually doesn’t work, but Suckers do try. It’s terribly important to them for other people to understand that they didn’t let them down on purpose. They couldn’t help themselves. Of course, the destruction of best-laid plans is only beginning at this point. New rescue dogs tend to chase Resident Cats. Cats (both Newbies and Lifers) hide in cabinets (which any self-reliant cat can open with the flick of a velvet paw). O’Possums (in case you’re ever foolhardy enough to bring one home) try to bite the hand that’s trying to feed it. And any live thing you bring into the house will amaze you with the situations it can bring about that you never anticipated and really didn’t want to happen. And, yet – if you are a True Sucker – you ‘ll do it all again at the next opportunity, and all the constructive comments in the world won’t keep you from it, because you – are not – perfect. I am not the best book promoter in the world. I have a book out, and I’m sure my editor, publicist, agent and manager (all of whom encouraged me to do this blog) would appreciate it I would at least mention the sucker. 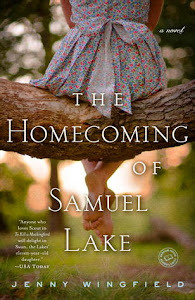 The name of my book is The Homecoming of Samuel Lake. 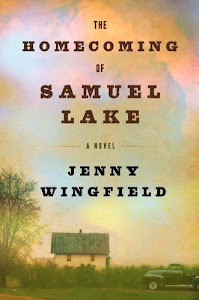 It’s out in hardcover, and on July 10, it will also come out in paperback. The story is set in rural Southwest Arkansas, in the 1950’s, which I happen to believe was a magical time in our country. It’s about good and evil and strength of family and the unusual, even miraculous ways that love can overcome its opposite. I hope you read it. I hope it makes you laugh and cry. And I hope you come back here soon for another visit. Like Toy Moses, I think the hours just before dawn are the best time of the day. The world is so quiet that small sounds are enormous. Lucy -- a black lab who showed up here hungry a few months ago -- is noisily lapping from an inverted, thirty year old Tupperware cake cover that serves as a water bowl. Venus, an elderly Basset Hound, is sleeping so soundly that her deep, steady breathing can be heard across the room. And Little Old Man (a Beagle – so old he creaks) is apparently dreaming of running, probably in the pasture. His legs are fidgeting rhythmically, tapping the floor in cadence. Those aren’t all the dogs. We rescue, so we have a passel. The rest are lying about on the floor, not making a sound. (That's Athena, a ridgeback-something mix, pictured above.) And here I am in all this quiet, with my coffee and my thoughts and a post to write. My first on this blog. I’ve started a couple of other blogs, and abandoned them the way some folks dump dogs near our gate. “I can’t feed him,” those people say, when I catch them at it. And I keep the castaways until I can find a home for them. Sometimes, that means forever. I turn out keeping the homely ones, the pitiful cases, the ones nobody is ever going to want. But y’know what? I feed their bellies, they feed my soul. Those other blogs were things I couldn’t feed, and they’re out there somewhere. Like the dog dumpers, I try not to feel guilty. I tell myself that I’ll take care of this one properly. I’ll love it and nurture it and try to feed it on time. Of course, that’s the frightening thing. Feeding it means writing for immediate consumption. When I write a piece of fiction, I labor over it and polish it. I wake up in the middle of the night knowing a change I must make, and I’m up. Out of bed. Hunched over the keyboard. Nurturing. But this. This thing. It’s a different kind of animal. This one scares crap out of me. It’s about me, not some fictional character. This is my life I’m sharing. My day-to-day. My feelings. I tell myself I’m good with animals. Just reach out. Don’t flinch. Nothing to be afraid of. Why should this be different? So here we go. Let’s do this. I’ll offer my thoughts and hope they find a home with you.